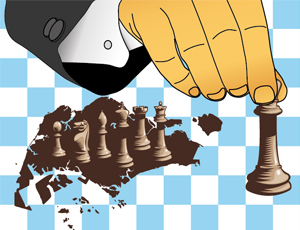 Singapore and a number of other ASEAN countries offer favorable tax incentive schemes and concessions, aimed at attracting foreign investment. A number of Singapore’s DTAs include “tax sparing” provisions, which ensure that benefits granted to foreign investors under the source state’s tax incentive schemes will not be offset by the residence state’s taxes. Under those provisions, the residence state treats the entity as if it had paid the usual corporate tax rate on that income in the source state, even when it has enjoyed a tax holiday or other concession. Essentially, the income is “spared” under the treaty in order to advance economic development. Currently, the countries with which Singapore has such agreements include Malaysia, Vietnam, the Philippines, Myanmar, Brunei, Canada and New Zealand. The administration of social insurance can be a complicated and confusing process for employers with operations in multiple countries. In this article, we explore social insurance in Hong Kong, India and Singapore to help clarify the key components of compliance across Asia. Social insurance compliance in mainland China is covered here and Vietnam’s social insurance is covered here. For several years now, multinational companies with operations in one or more Asian countries have begun transitioning to an outsourced model for handling their payroll and HR administration. Already well-entrenched in the U.S. and UK, the accelerating trend towards outsourcing payroll processing is unlikely to reverse due to the huge efficiency and savings it brings. In Asia, however, the cost-benefit of outsourcing is significantly less clear-cut. DELHI – India’s market began to emerge on the global stage in 1991 with the implementation of several governmental policies relating to foreign trade and foreign direct investment. This move towards globalization brought about new requirements relating to taxation and other laws as multinational corporations began investing in India and acquiring local companies. There were many transactions taking place between the same group of companies and the transfer price between them started playing a major role in impacting the profits and losses of Indian companies. Amendment in taxation laws for such transactions then became the need of the hour so that tax planning could be kept under check and protect against tax evasion. Individual income tax (IIT) rates and regulations vary considerably across Asia. In the graph and chart below, we provide a comparative overview of IIT rates in China, Hong Kong, India, Singapore and Vietnam estimated to the nearest thousand U.S. dollars. The chart, “Individual Income Tax Rates Across Asia,” displays IIT rates, while the graph above it provides a visual representation of these differences. As you might expect in a region comprising so much diversity and complexity, the systems utilized by governments in places like China and Vietnam (countries with large populations and with a communist background) are substantially different than those in places like Hong Kong and Singapore – small jurisdictions with a distinctly capitalist outlook. While the charts below provide an overview of macro-level differences in IIT rates, compliance procedures vary significantly by country. It is important to remember that these graphs are based upon estimates and the exchange rate at the time of writing, and should not be used to make any meaningful IIT calculations. Individual income tax rates vary widely across jurisdictions. Here, we visualize these rates for China, India, Vietnam, Singapore and Hong Kong. A key issue when determining individual income tax liabilities for foreigners is residency. In China, for example, individuals who spend fewer than 90 days in one calendar year in the country (or 183 days for residents of countries that have a tax treaty with China) are exempt from individual income tax if the income is paid by an overseas entity and the income is not attributable to a permanent establishment in China. If an individual is paid by a China entity, any income derived from working in China will be taxable. SHANGHAI – When determining which type of model is most appropriate for managing payroll across multiple countries, employers should take into account the advantages and shortcomings of the three most commonly utilized models. The first, a country-by-country model, entails contracting vendors locally in each country. The second, a managed model, entails contracting a single vendor (integrated service provider) who subsequently sub-contracts the actual processing on a country-by-country basis. Finally, integrated models entail contracting one vendor able to provide payroll services via vendor employees in each country of operation, reporting through a single-point-of-contact methodology rather than sub-contracting payroll duties to other firms. BEIJING – China has rapidly implemented value-added tax reform over the last two years, and it has pledged to complete the reform by finally extending it even to the financial services and real estate industries by 2015. While value-added tax systems have grown in popularity worldwide over the last thirty years as a new source of dependable tax revenue (reportedly even US presidents Barak Obama and Richard Nixon briefly considered it), the Chinese value-added tax (VAT) system is unique and far more intricate and resource-consuming than normal. It is heavily dependent upon printed VAT invoices that can only be issued and used by resort to elaborate verification processes designed to ensure tax collection and to curtail fraud. Failure to effectively manage the system can result in substantial tax liabilities that may wholly consume already thin profit margins.Therefore, it is critical for every foreign invested enterprise in China (i) to plan for the impact of VAT from the very beginning, (ii) to establish an independent internal (or outsourced) system to monitor and manage the company’s VAT position, and (iii) for senior enterprise leaders to stay abreast of the company’s VAT position and to consider it when transacting business.